The Baylee Round Bed is a luxurious item. 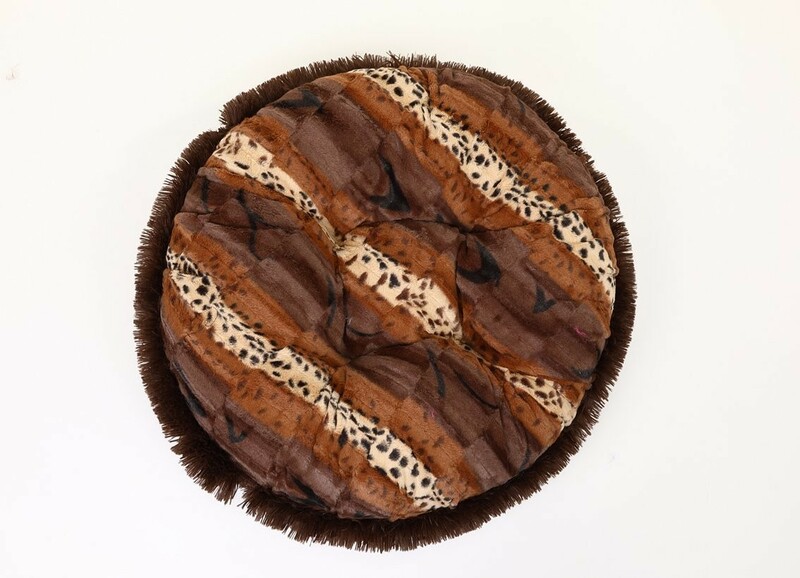 Soft to the touch and large in size for guaranteed comfort, this handmade bed is sure to elevate your pet's napping experience. High quality fabrics of various textures and prints are removable from the bed so that you can throw them in the wash whenever necessary.